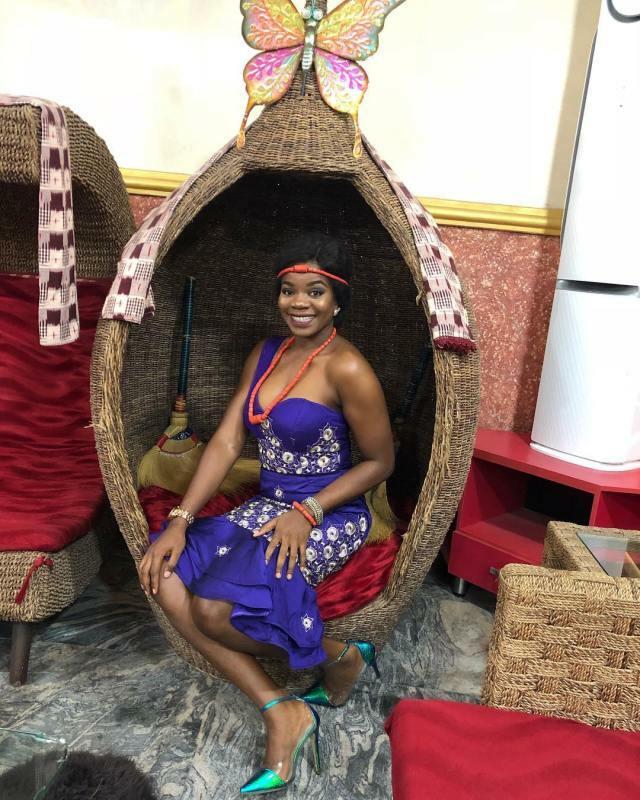 The number one baby mama of Starboy Wizkid, Shola Ogudu took the internet by surprise after declaring love for the number one competition of her baby daddy Davido, via Twitter days ago. 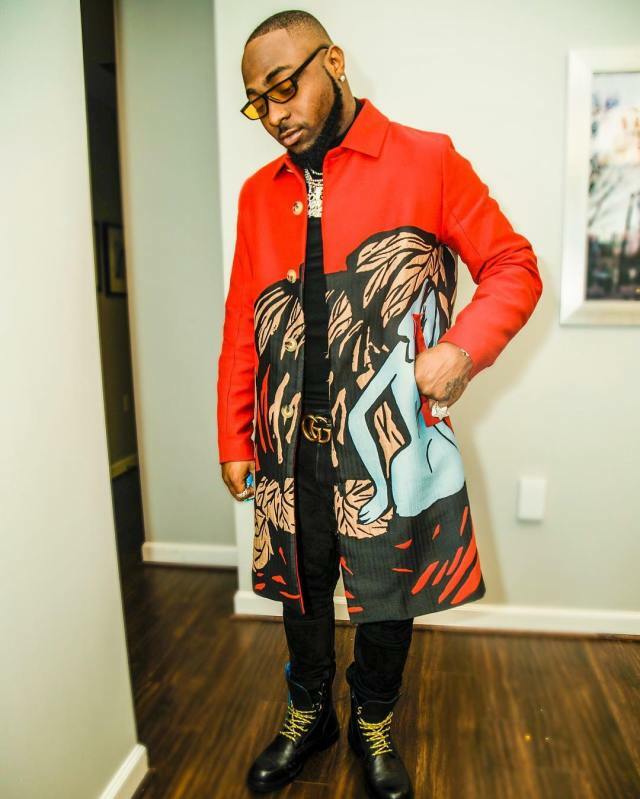 Mother of one, Shola pointed out that it is strange for her to feel what she feels for Davido considering many things, but she couldn’t help but notice that Davido is a sweet boy with positive vibes that make her happy. 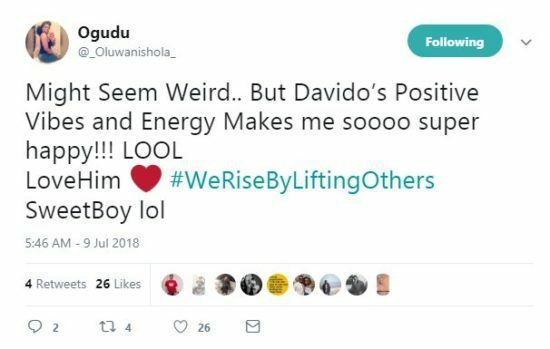 “might seem weird…but Davido’s positive vibes and energy makes me soooo super happy. Lol… Love him…” she tweeted throwing the internet ablaze. It is no longer news that Wizkid and his first two baby mamas are not on good terms, in fact they think of him as a deadbeat dad…hence, Shola publicly declaring love and support for Davido is indeed very weird and full of unspoken words. Most people who reacted to the tweet quickly asked why it’s weird. She never responded though, but the question keeps ringing and ringing and it is doubtful if Wizkid would make a toast to that. She said “Davido’s positive vibes”, what exactly she meant by that has also been left hanging and begging for explanation. It is however public knowledge that things between Wizkid and his baby mama, Sola Ogudu, have not been kosher as evident in her last month’s tweet, describing the Pakurumo’s crooner as an irresponsible father who has abdicated his fatherly role to his son. Could this recent tweet of open confession of love for Wizkid’s number one rival be another of Sola’s attempt at landing a big one on the Starboy as her last outcry didn’t seem to have hit the right spot she wanted?